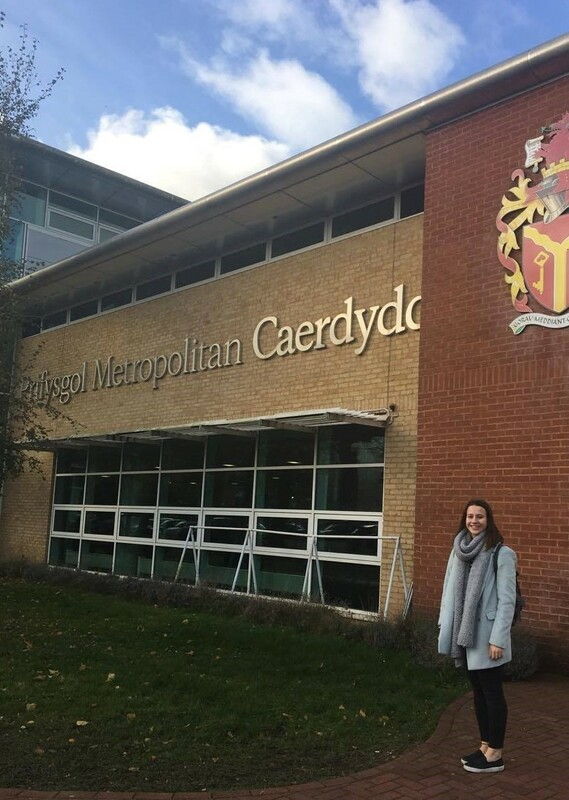 My Experience of Psychology Placements at Cardiff Met! I chose to study psychology at Cardiff Met primarily because of it is applied nature. This course stood out to me as it allows its undergrads to develop a range of important employability skills. These skills are developed through the vast range of placement partners on offer! Hence I chose to do the second year option Work, Volunteering and Placement module. Through this module I could apply for a range of placements Cardiff Met offers, such as placements in clinical settings to charity based community projects. There were so many to choose from and I was really unsure of which direction to head in but eventually I applied for Safer Wales Inclusive Service. This involved one-to-one and group sessions with a focus of encouraging positive lifestyle choices to the service users at risk of sexual exploitation. During the course of this placement I was given the opportunity to complete mentoring training. This consisted of a day’s workshop going thorough all aspects of mentoring, and afterwards we were expected to complete a booklet to evidence our understanding. These were then marked by our supervisors at Safer Wales and we were informed if we had passed the course. This helped me a lot on my placement when advising and mentoring the service users, and will aid me in the future on other projects. The placement supervision consisted of the placement provider completing an assessment grid evaluating my personal employability skills. Additionally, I had to complete a placement incident report. The focus of this was to evaluate my response to an incident of my choice that occurred during the course of my placement. I had to justify the reasons for my behaviour and what I would do differently in future to respond to a similar situation. Due to the rewarding nature of this placement I also applied for extra volunteering at Whitchurch Hospital through a charity called Student Volunteering Cardiff. Throughout the volunteering I worked with adults who had an acquired brain injury. This was a really interesting experience as working in a clinical setting allowed me to see the difficulties the patient’s face when having mental health issues. As you can imagine both of these volunteering programmes helped me to develop many key skills, like working in a confidential manner in professional settings, understanding appropriate ways to communicate with both professionals and service users and my confidence and ability to lead activities with service users. These skills will prove important in my later career in psychology. With this in mind I would definitely recommended anyone to get involved in the amazing number of placement partners Cardiff Met has to offer. Not only will it help you develop important skills and be great experience for your CV, but most importantly it is really rewarding and helps you see psychology applied in the real world! Community based placements offer students the opportunity to apply their learning in a range of contexts and gain valuable experience for their CV, whilst at the same time learning about the issues that impact on the local community. The model used by the department means that students are supported through the application process and are provided with 1:1 support for their individualised assessments. It’s great to see how Hannah recognises how she has developed skills in professional contexts. Given the impending American Presidential vote and the ongoing discussions around Brexit, we have felt it more important than ever to continue to maintain, develop and appreciate our relationships with international partners. Last year one of our final year student’s visited the University of Isik near Istanbul in Turkey. In November Stef wrote about her experience while in Turkey (https://psychcardiffmet.wordpress.com/2015/11/24/adventures-in-istanbul-erasmus-opportunities/), and now she has kindly written a follow up. Can you summarise what you got up to in the term before Christmas? I studied Psychology at a university just outside of Istanbul, Turkey. I also did some travelling around Turkey, and met lots of international people! What was the highlight of your Erasmus visit? The highlight of my Erasmus visit was all of the friendships I made. When I arrived all the Erasmus students were given an orientation and lots of activities were planned so that we would feel welcome and comfortable (the university was really good at this and the Turkish mentors were really friendly!). There was only a small group of us, around 20, and we did everything together for the first couple of weeks so we all quickly became very close. By the end of the trip I considered many of them my best friends, and have since gone to visit them in Spain, France, Italy, and next year I’m going to visit others in Mexico! So the people were definitely my highlight. We also went to a part of Turkey called Cappadocia, where we saw the sunrise from a hot air balloon! So that’s definitely up there with the other highlights of my trip. One of the most challenging aspects of studying in a different country is wondering how it is going to affect your grades. I was in the final year of university so these were some of my most important grades and I had no idea what the teaching or marking would be like. All of my teachers taught in English and the teaching was quite similar to that of the UK. The main difference was that most of the assessment was exam based (midterms and finals) and a lot of these were multiple choice and short answer based, rather than essays and reports. So, at first I was nervous but I quickly learnt that the teachers were all really approachable and willing to help, and that as long as I revised like I did in the UK it didn’t really matter how I was tested as long as I knew my stuff! I ended up with pretty good grades so although it was scary at first, it was really nothing to worry about at all. What do you feel you have gained from your experiences in Istanbul? I think I’ve become a lot more open-minded and less ignorant! I think British people in general can be quite unknowing of other cultures, and I’ll admit that before this trip I have never jumped at the idea of learning another language or integrated with people from different countries. So, above all I’ve learnt so much about not just Turkish culture but European culture. For the first time I’ve wanted to learn other languages, Spanish and Italian, and felt quite embarrassed that everyone around me could speak 2 or more, and I was the ignorant English girl that just expected everyone to speak in English! I’ve also learnt that Turkey is not the big, scary country that every one warned me about before I left. My parents didn’t want me to go, and my friends thought it was strange that I had picked somewhere so close to war torn Syria. I’ve travelled before so, of course, I ignored everyone because I knew that once I got there it would be fine. I was right! My campus, which is where I spent most of the week, was in a small seaside town, where nothing much happened and I felt completely safe. We spent most weekends in Istanbul, which is my favourite city in the world. There are so many things going on, and the culture is nothing like you’ve ever seen before with a mixture of Europe and Asia! The other places that I travelled to in Turkey were also some of the most beautiful places I’ve ever been to, and the Turkish people and families that I met were so welcoming and kind to their guests! The main lesson I have learnt from this trip is that the Turkish stereotype is just that – a stereotype! Of course, to be safe and streetwise is always a priority, but if I didn’t go to a city or place through fear of every little danger then I’d never go anywhere with the world as it is at the moment. Lesson learnt – Turkey is amazing! What advice would you give to other students who are considering taking part in the Erasmus programme? My advice would be to think of all the things that are holding you back … And then forget about them! Sign up and don’t think about it until it gets to it. When you get there you’ll be so busy making friends and doing cool things that you’d never be doing in the UK that you’ll forget about all those worries anyway! There’s been a lot of publicity about all the atrocities happening in Turkey at the moment and I can understand how this would put a lot of people off coming. All I can say is that you can’t hide away because anything could happen anywhere. My advice would be not to let fear hold you back but to be streetwise and stay away from large crowds of people and stay with people you know. Final bit of advice – enjoy every moment because before you know it you’ll blink and it will all be over! This was obviously a fantastic experience for Stef. She completed one term in Turkey, finishing the equivalent of four modules there. She had also to focus on what she needed to do for her degree, and had project work to do while there. She managed to go through two sets of ethics applications, from both universities, and then used the time there to collect data for her final year dissertation. Stef did really well overall, and managed to work hard and learn a great deal about how people can come together in the world. Stef is now travelling across Europe and the world, and we look forward to hearing what she does next. If you are interested in Erasmus exchange opportunities, please do get in touch with Clare Glennan who will talk through the process and opportunities with you.